Overdale of Sheffield have for some 30 years supplied a full range of CATERING EQUIPMENT to hotels,restaurants,universities and other commercial catering outlets. The company is based in the SHEFFIELD area and maintains business links within the city. 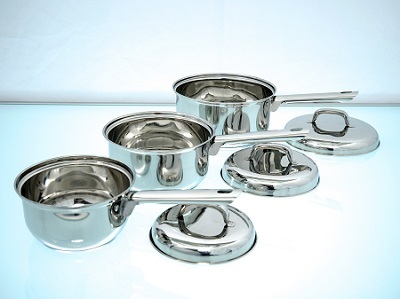 STAINLESS STEEL PANS for all hobs including INDUCTION. 24cm diameter Saute/Fry Pan - no lid. 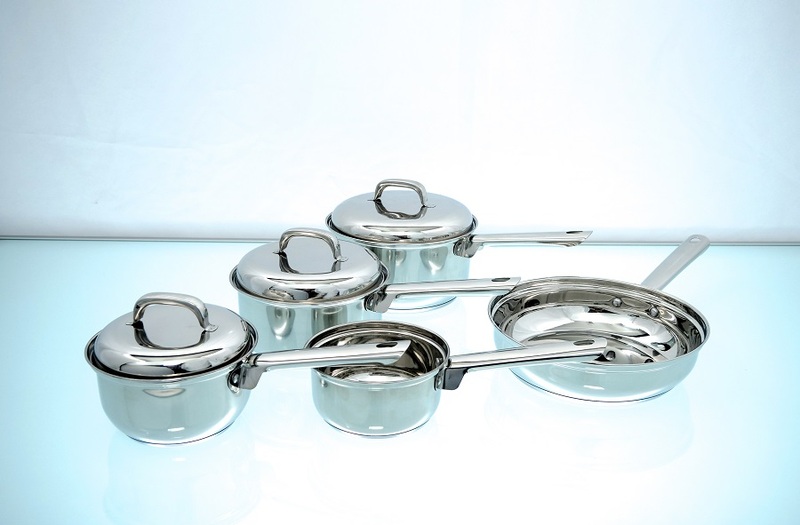 Our quality solid Stainless Steel Pans are available at very competitive prices. The contact details are placed in the footer of the page. We aim to respond to all requests within 24 hours. 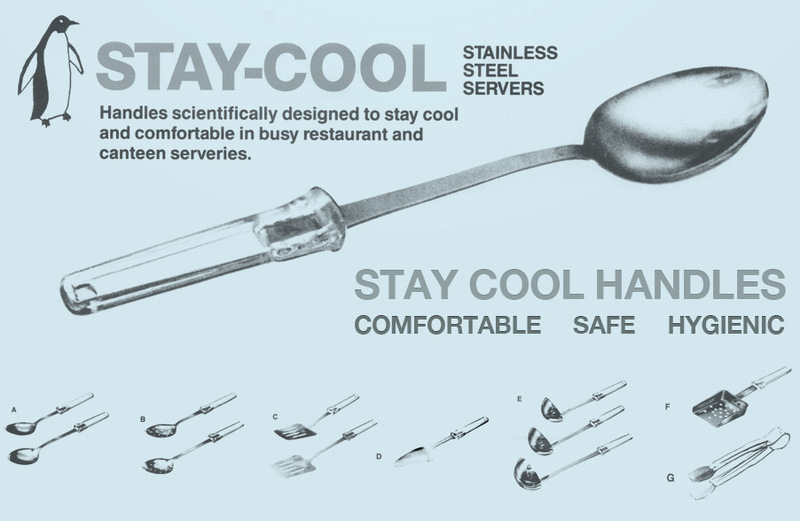 Scientifically designed with safety in mind, STAY-COOL utensils virtually eliminate the risk of burns and discomfort to the hands from picking up hot servers in busy canteens and restaurants. The handles are moulded from a superior grade of clear/black engineering plastic, which minimises the absorption and build up of heat from Bains Marie gastronoms and infra red lamps. They remain comfortable to hold even after prolonged exposure. The handles are securely moulded to one-piece, easy clean Stainless Steel ensuring the highest standards of safety and hygiene. A total freedom of choice. 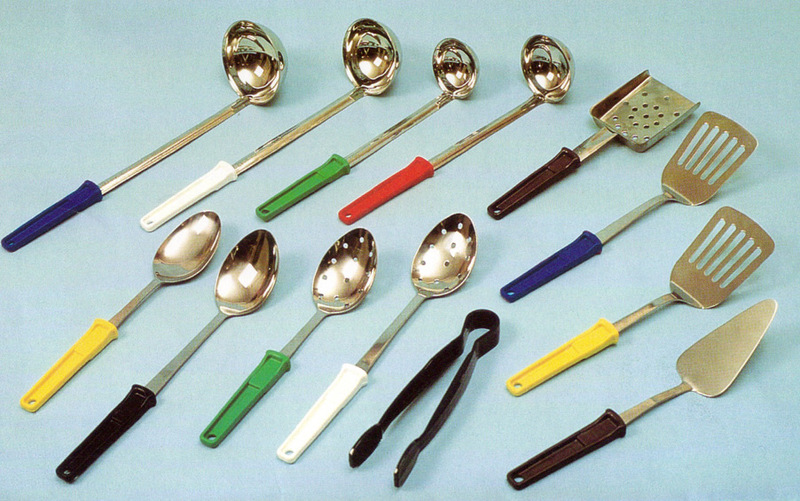 Stylish, comfortable and practical heat resistant coloured plastic handle.